Sacchelli S (2018). A Decision Support System for trade-off analysis and dynamic evaluation of forest ecosystem services. iForest 11: 171-180. This paper presents an open-source Decision Support System (DSS) able to quantify the economic value of forest ecosystem services and their dynamic trade-offs. Provisioning, regulation and support services, as well as cultural services, can be evaluated by the model. Best management forestry practices can be identified by optimizing specific objective functions, e.g., maximizing the economic value or identifying the ideal rotation period. 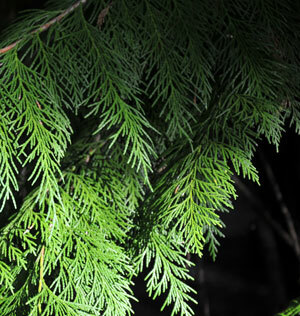 The model was applied to a silver fir (Abies alba Mill.) stand in central Italy as a case study. Results show the importance of economic parameters (e.g., discount rate) and management practices (e.g., presence/absence of silvicultural thinning) in defining forest values. The main strengths and weaknesses of the DSS are discussed in light of its potential for application in the sector of Payment for Ecosystem Services. What weight should be assigned to future environmental impacts? A probabilistic cost benefit analysis using recent advances on discounting. Science of the Total Environment 409 (7): 1305-1314. Use value of cultural experiences: a comparison of contingent valuation and travel cost. Tourism Management 42: 141-148. Spatial allocation of forest recreation value. Journal of Forest Economics 16: 113-126. A comparative assessment of decision-support tools for ecosystem services quantification and valuation. Ecosystem Services 5: 27-39. Capturing the complexity of biodiversity: a critical review of economic valuation studies of biological diversity. Ecological Economics 113: 1-14. The value of urban open space: meta-analyses of contingent valuation and hedonic pricing results. Journal of Environmental Management 92: 2763-2773. The Faustmann formula: fundamental to forest economics 150 years after publication. Forest Science 47: 441-442. The carbon market. International Climate Policy and Carbon Markets 32: 11. The value of the world’s ecosystem services and natural capital. Nature 387: 253-260. Changes in the global value of ecosystem services. Global Environmental Change 26: 152-158. Hedonic pricing and different urban green space types and sizes: insights into the discussion on valuing ecosystem services. Landscape and Urban Planning 146: 11-19. Monetary valuation of forest ecosystem services in China: a literature review and identification of future research needs. Ecological Economics 121: 75-84. Global estimates of the value of ecosystems and their services in monetary units. Ecosystem Services 1: 50-61. On the determination of the value which forestland and immature stands pose for forestry. Reprinted in Journal of Forest Economics 1: 7-44. Payments for ecosystem services: from local to global. Ecological Economics 69: 2060-2068. Towards a fair, constructive and consistent criticism of all valuation languages: comment on Kallis et al. (2013). Ecological Economics 112: 164-169. The estimation of ecosystem services’ value in the region of Misi rural development project: results from a contingent valuation survey. Forest Policy and Economics 9: 209-218. Ecosystem services assessment: a review under an ecological-economic and systems perspective. Ecological Modelling 289: 124-132. Assessing, valuing, and mapping ecosystem services in Alpine forests. Ecosystem Services 14: 12-23. Analysing scenario approaches for forest management: one decade of experiences in Europe. Forest Policy and Economics 85 (2): 222-234. Biodiversity value and the optimal location of forest conservation sites in Southern Finland. Ecological Economics 67: 232-243. Interactions of ecosystem properties, ecosystem integrity and ecosystem service indicators - A theoretical matrix exercise. Ecological Indicators 28: 54-78. Acceptance of biomass plants - Results of a longitudinal study in the bioenergy-region Altmark. Renewable Energy 83: 690-697. Valuation of the ecosystem services: a psycho-cultural perspective. Ecological Economics 64: 808-819. Value-based ecosystem service trade-offs in multi-objective management in European mountain forests. Ecosystem Services 26: 245-257. Valuing recreational ecosystem service flow in Finland. Journal of Outdoor Recreation and Tourism 10: 14-28. Does mode matter? A comparison of telephone, mail, and in-person treatments in contingent valuation surveys. Journal of Environmental Management 90: 3528-3533. Offsetting legal deficits of native vegetation among Brazilian landholders: effects on nature protection and socioeconomic development. Land Use Policy 68: 189-199. Identifying salient forest SES attributes for sustainability: a multi-country study. Land Use Policy 60: 197-205. Valuing forest ecosystem services: what we know and what we don’t. Ecological Economics 93: 137-149. The economic value of biodiversity. IUCN - The World Conservation Union, Earthscan Publications Ltd, London, pp. 106. The second generation of ecological economics: how far has the apple fallen from the tree? Ecological Economics 107: 457-468. In-stand scenic beauty of variable retention harvests and mature forests in the US Pacific Northwest: the effects of basal area, density, retention pattern and down wood. Journal of Environmental Management 91: 245-260. The use of benefit transfer to estimate the recreational and touristic value of two wooded areas in Tuscany. Journal of Service Science and Management 5: 14-19. The role of benefit transfer in ecosystem service valuation. Ecological Economics 115: 51-58. Timber harvest adjacency economies, hunting, species protection, and old growth value: seeking the dynamic optimum. Ecological Economics 44: 325-344. Biomasfor - An open-source holistic model for the assessment of sustainable forest bioenergy. iForest 6: 285-293. Minimisation of uncertainty in decision-making processes using optimised probabilistic fuzzy cognitive maps: a case study for a rural sector. Socio-Economic Planning Sciences 52: 31-40. Failures of political decentralization in promoting network governance in the forest sector: Observations from Italy. Land Use Policy 62: 79-100. Validating a method for transferring social values of ecosystem services between public lands in the Rocky Mountain region. Ecosystem Services 8: 166-177. The economics of ecosystems and biodiversity: mainstreaming the economics of nature: a synthesis of the approach, conclusions and recommendations of TEEB. Progress Press, Malta, pp. 36. Technical report on biodiversity in Europe: an integrated economic and environmental assessment. RIVM report 481505019, National Institute of Public Health and the Environment, Bilthoven, The Netherlands, pp. 74. Landscape ecology: the effect of pattern on process. Annual Review of Ecology and Systematics 20: 171-197. Valuing nature: lessons learned and future research directions. Ecological Economics 46: 493-510. Tuscany Regional Forest Law 48/2003. Web site. Dissimilar framings of forest biodiversity preservation: Uncertainty and legal ambiguity as contributing factors. Forest Policy and Economics 62: 36-42. Financial and economic performance of long-rotation hardwood plantation investments in Queensland, Australia. Forest Policy and Economics 7: 437-454. Trade-offs between forest ecosystem services. Forest Policy and Economics 26: 145-146. Bioenergy decision support systems: worth the effort? In: Proceedings of the “World Renewable Energy Congress”. Linköping (Sweden), 8-13 May 2011. Linköping Electronic Conference Proceedings, vol. 1, no. 57, pp. 9-16. The valuation of off-site ecosystem service flows: Deforestation, erosion and the amenity value of lakes in Prescott, Arizona. Ecological Economics 97: 74-83. Solver for nonlinear programming. Web site.